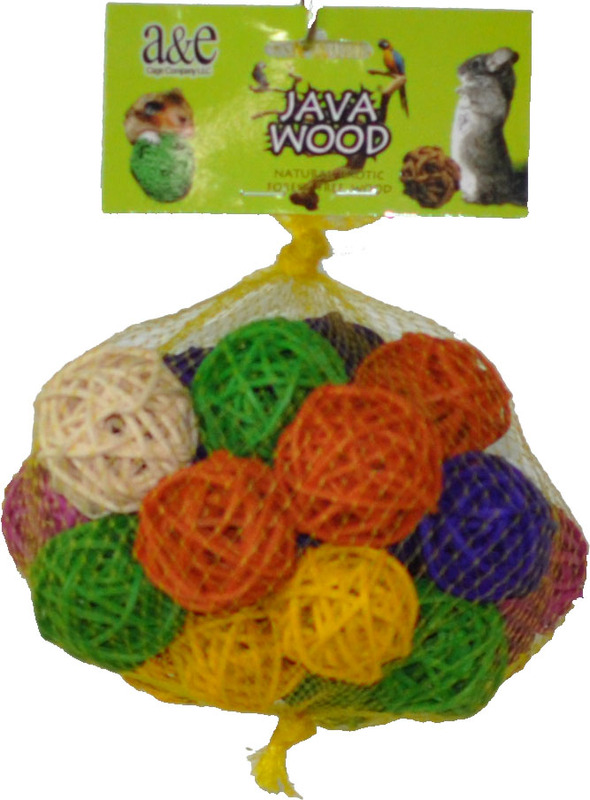 Assortment of 25 small sized munch balls (about 1-1/2") for your birds' enjoyment -- use as foot toys or stuff with treats or other items for foraging - hang on leather strips or skewers to make your own colorful, safe, great bird toys! Note: do not give netting to birds. Absolutely love the selection of color. They ate already being torn up by a happy little bird who loves these things. Her absolute favorite toy ever. My bird loves these. 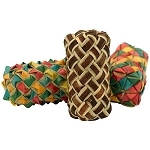 She uses them as foot toys and I also use them, along with other elements, to make toys for her cage. Great item. Our greencheek conures LOVE these munch balls!!! They are made from grapevine and chew up really well. Others are made from Rattan and don’t break up as well. They prefer these. 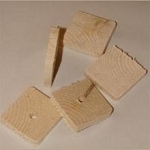 I clip them to the sides of their cages by their perches and they go to town chewing on them. They don’t last more than a day but come in many colors so I can give them a couple new ones each day. Great for preventing boredom!